Previously, we discussed the special skills that a roofer should have in order to excel in the field. In order to be a commercial flat roof installer, one must be of exceptional physical strength and able to work in a variety of weather conditions, everything from driving rain to blistering heat. The crews at S&S Roofing are some of the best in the industry. They are committed to providing the best possible result and many of our clients will not trust any other commercial roofing company to touch their roofs. We are proud of our reputation of being one of the East Coast’s finest commercial roofers. With winter coming, the time is now to have your roof maintained. This means different things all over the world, but here in New Jersey, it means a new coat of sealant and some TLC. 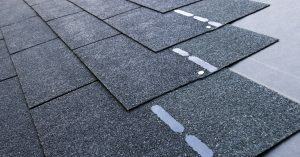 As you know already, the killer of a flat, commercial roof is standing water, and while in some cases it cannot be avoided, generally a proper sealing process can avoid those problems. A flat roof is not typically completely flat, in fact, the technical term for a flat roof is “low slope roof”. This means that a flat roof is actually tilted in order for the water to run off. Of course, without the proper maintenance, issues develop that can go unnoticed until they become major repair concerns. 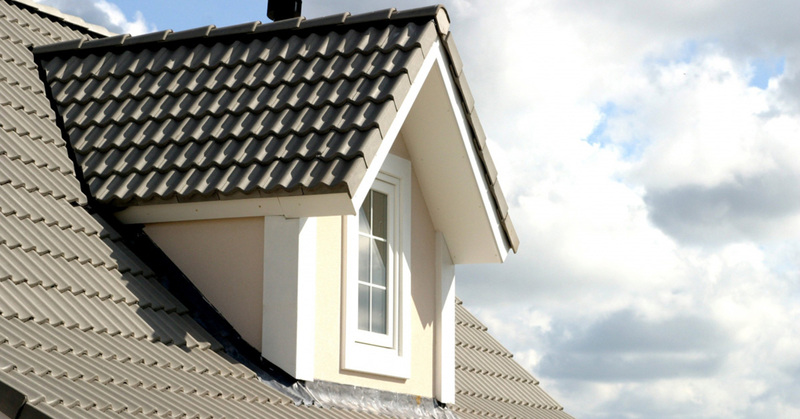 The roofing material we use can be metal, thermoplastic, EPDM and liquid applied roofing. 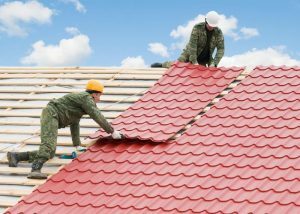 Long ago, the roofing materials were much different than today and have slowly evolved into the materials we have today. There are two things that determine a good roof: materials and installation, no two aspects of roofing are more important than these. It takes experience to be able to offer both in the same package. Anyone can buy quality materials but if the installation is mediocre, the roof will not last. The same goes for installation, you could have one of the best installation teams ever and if the materials are substandard the roof will fail. Of course, throughout history, some incredibly diverse materials were used for roofing. It is generally thought that humans lived in caves when they were first gaining traction in the world and upon moving out of these caves, developed a much more complex version of the house. Basically, it was four sticks with a few walls and a makeshift roof. Depending on where these early humans lived, the roofing materials were a representation of that area. In the tropics palm leaves made incredible thatched roofing, in Europe wood was utilized and in the southwest U.S. and Africa the people utilized mud. Regardless of what substance was used for a roof they generally relied on natural materials and the techniques were much more labor intensive. Roofs also were pretty much utilized by agrarian cultures as the hunter gatherers were nomadic and utilized tents. Nobody really knows when humans decided to move from caves into permanent dwellings, one thing’s for certain however, roofing technology advanced to the stage where a roof provided ample comfort. When humans in Europe began to build permanent homes the effect was devastating to the forests and new materials had to be found to roof the homes. In the beginning they used clay tiles and slate. These can be thought of as the first of the “man made” roofing materials. Later, when the technology allowed, large sheets of metal were used, in fact many cathedrals were topped with metal roofs and they remain to this day. By 1900, roofing had been fairly unchanged for hundreds of years and the common materials were slate, clay and metal. It was around this time that asphalt shingles were introduced and soon became the material of choice for roofing homes and businesses alike. Of course, many of these early asphalt shingles contained asbestos which opened up a whole different set of issues. Eventually the asphalt was the most popular roofing material in the U.S. but commercial building design began utilizing the flat roof much more and a specialized type of liquid asphalt was developed for this application. Check back next time for more roofing related information and if you need a commercial roofing contractor on the East Coast, please give S&S Roofing a call.